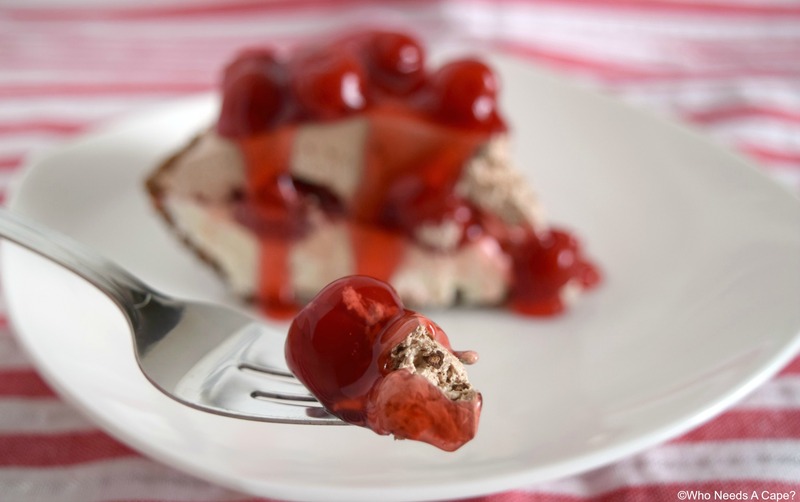 Creamy No-Bake Black Forest Pie - Who Needs A Cape? 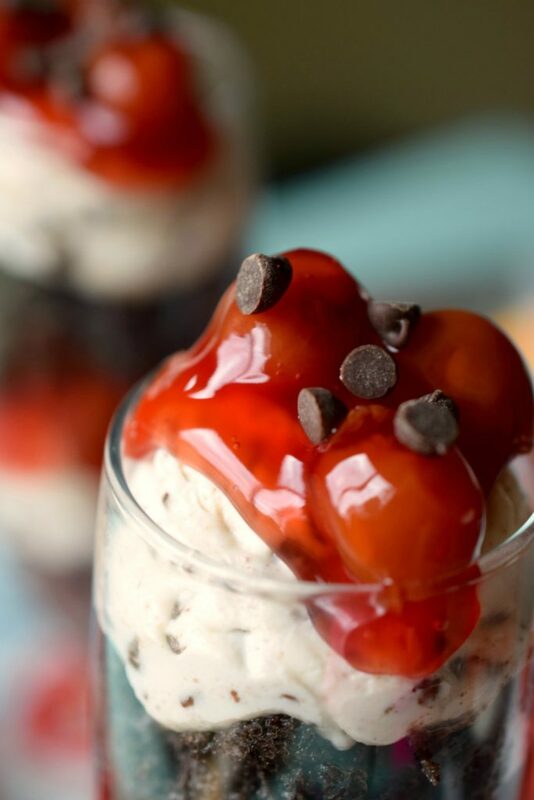 Need a cool dessert that’s easy to make? 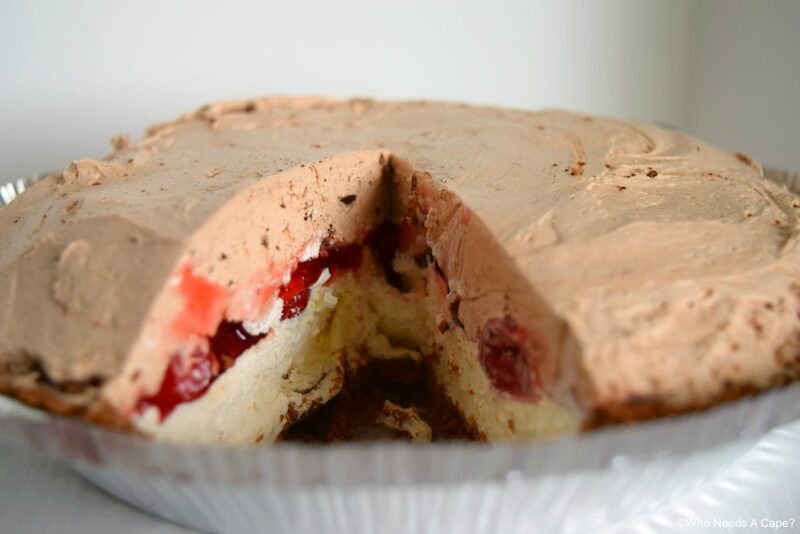 Creamy No-Bake Black Forest Pie has layers of creamy deliciousness with cherry pie filling! 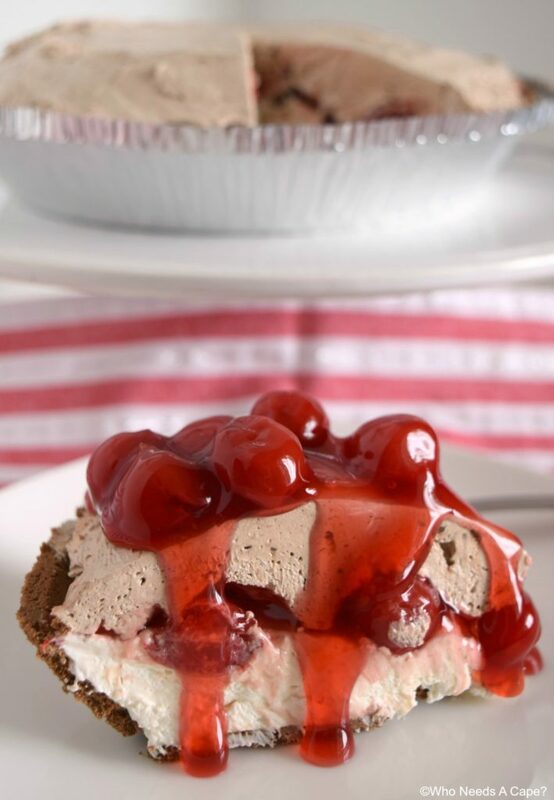 We’re debuting this delicious Creamy No-Bake Black Forest Pie. today. 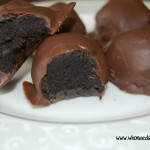 This dessert is our contribution to the 30 Day Recipe Challenge. 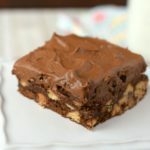 We absolutely love this challenge with our blogging friends and couldn’t have been happier when it was decided that NO-BAKE desserts were to be featured this month. 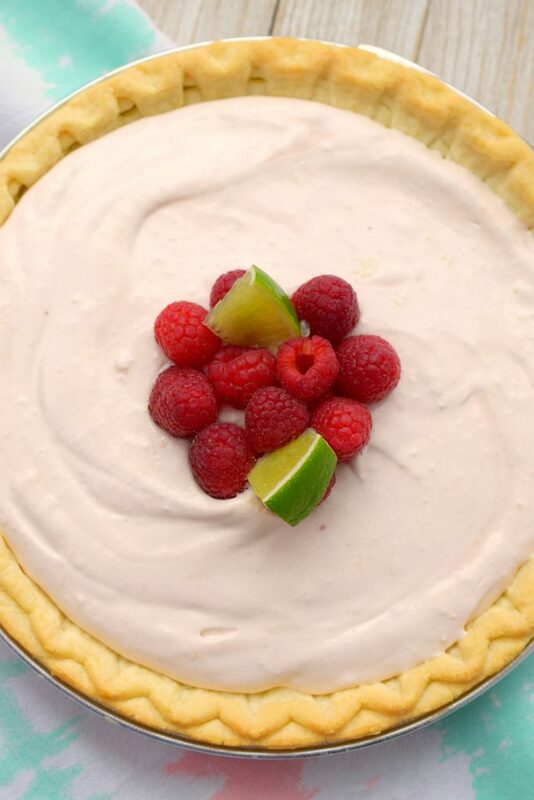 With the heat of summer sweltering down upon us, no-bake dessert creations are where it’s at! Don’t worry about heating up the kitchen in order to serve a yummy treat, make a no-bake version and get outside and enjoy the weather. 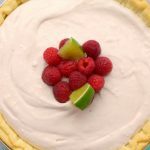 In past sessions of the 30 Day Recipe Challenge, we shared such yummy recipes as Creamy Lemon Layered Pie, Homestyle Chicken Noodle Soup, and Glazed Strawberry Lemon Yogurt Loaf. 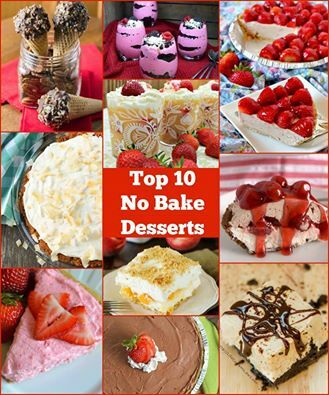 Now be sure to check out the other tasty no-bake desserts from our blogging friends, you’ll find links located at the very bottom of this post. No-Bake desserts are truly just a gift when it is hot, humid and miserable outside. With a few simple ingredients, you can create something just as luscious as this Creamy No-Bake Black Forest Pie. I’ve had a crazy busy past few weeks, knowing that I can throw a dessert together in a short amount of time and skip heating up the kitchen…ow that makes me smile. 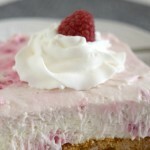 Essentially this pie is a no-bake cheesecake, with 2 yummy layers. Sandwiched in between the layers of cheesecake you’ll find sweet cherry pie filling hiding in there. You can serve this with a spoonful (or more) of additional cherry pie filling on top or not, it is completely up to you. 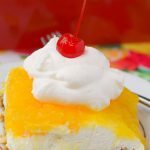 I stumbled upon this easy recipe years ago in a Taste of Home magazine, perfect summertime dessert. There’s absolutely nothing complicated about this dessert. It can be prepared and placed in your fridge/freezer in roughly 10 minutes. Deliciously simple, don’t you love that? In large bowl beat together cream cheese and sugar until blended. Add in sour cream and vanilla extract. Fold in Cool-Whip until combined. Spread 1/2 of Cool-Whip mixture into chocolate crust. Spoon 1/2 of cherry pie filling over Cool-Whip mixture, spread nearly to the crust. Gently fold cocoa powder and powdered sugar into reserved Cool-Whip mixture. 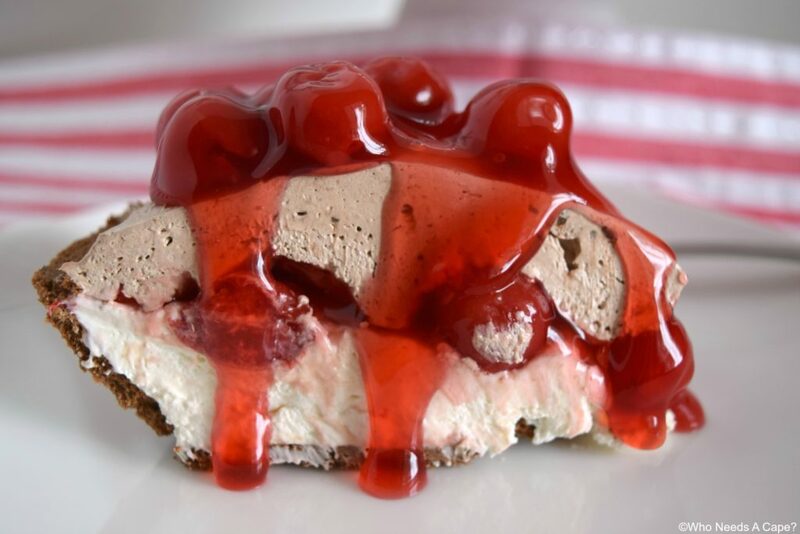 Using a large spoon place dollops of the chocolate Cool-Whip mixture over the cherry pie filling. Gently spread over the top. Replace plastic lid onto pie dish (inverted) and refrigerate a minimum of 4 hours. OPTIONAL: When serving add other 1/2 of cherry pie filling to top of pieces when plated. Freeze for 2 hours after preparing if you need this dessert quickly. Oh my goodness! This is my dream pie! Wow, this pie looks totally awesome!! I love all the delicious layers. 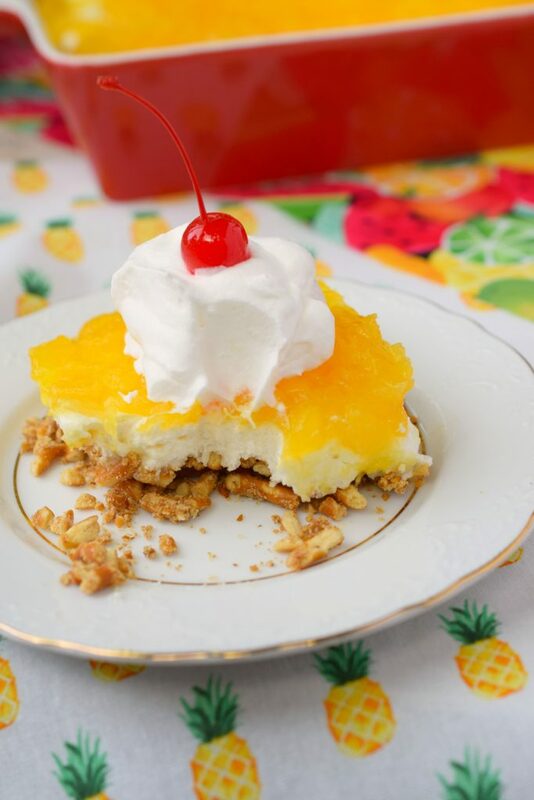 The perfect summer dessert!! Wowza! 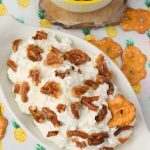 This could quickly become a new family favorite recipe! I’d make Black Forest Cake every single day if it was no bake! I can’t want to try this one! Oh my gosh… This looks incredible! 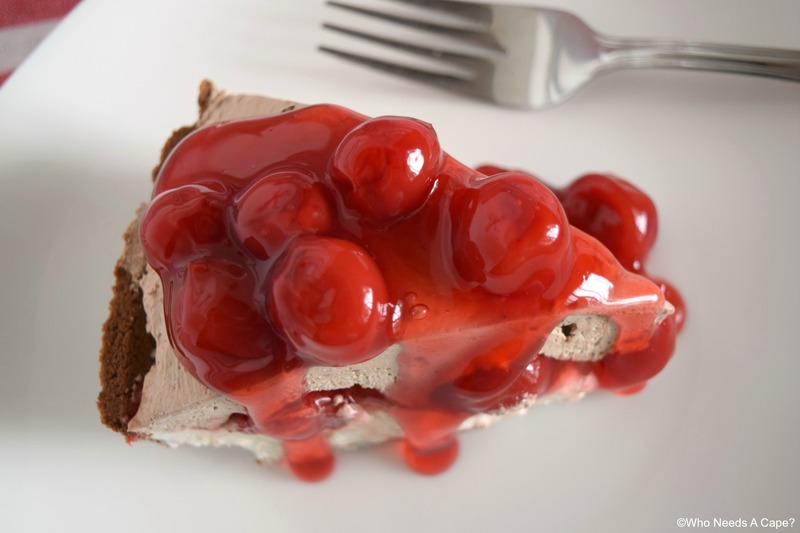 This pie looks absolutely scrumptious and love that surprise cherry filling! Yum! This sounds like one luscious pie! I can’t wait to give it a try!! Wow, how I just love the look of those layers. We’d gobble this pie up so quick, I think I’d need to make two!